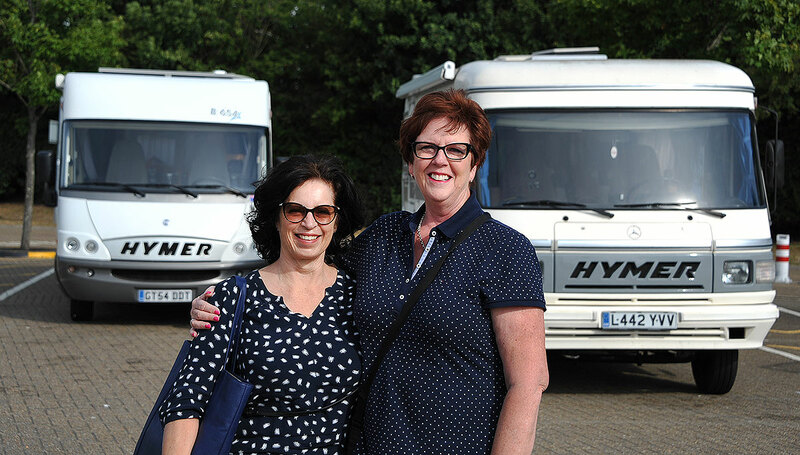 After checking out the new Niesmann and Bichoff at Telford, we all piled into Gary and Diannes, Harry the Hymer and headed to Milton Keynes through the traffic to collect Ralph the rental Hymer. We arrived just before 5pm and Peter the proprietor, gave me a run down on Ralph. Where the hoses were, the camp chairs etc and how everything worked. Ralph is a real hard case machine. Its a 1992 Hymer with a 5 cylinder 2.9 litre Mercedes with automatic trans. It starts first pop everytime despite its 250000 miles on the clock. Its a fun wagon. We stopped at a Caravan park in Bearsted after battling the M1 traffic for a couple of hours and we arrived 3 minutes late at 8.03pm. The sign said no admittance after 8pm so we spent the night out in the carpark but still had to pay what I thought were extortionate fees of 34GPB (NZ$70!) without power and not much else. What a welcome .. Dianne rang and we were basically told “Rules are Rules !” .. not a nice welcome…no wonder the other Caravan Association calls themselves “the friendly group”. We were close to the Channel Tunnel for the next morning and that was all that mattered. We were away at 8:30 to get on the Chunnel Train. 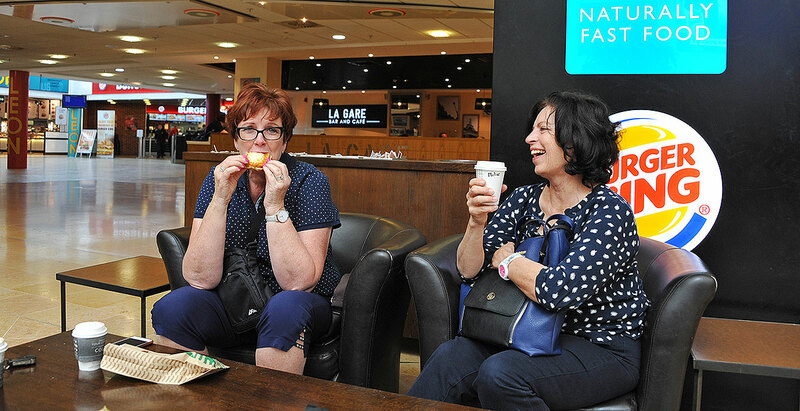 We arrived quite early and clocked in through both borders and parked our car in the C lane and went to get a cup of tea and look at the duty free stuff. Fiona and Dianne with the Hymers waiting to board the train. Gary and I stumbled on this amazing deal for internet for roaming all over Europe with a prepaid card from 3. All the Truckies use it apparently but its great. After an hour of cups of coffee we were asked to line up Harry and Ralph Hymers and get ready for the train. Its was amazing how quiet and how easy it was.. very streamlined. Dianne even got a wink from the French immigration man with his “lovely accent”! Dianne and Fiona at the Duty free terminal waiting for the boarding signal. 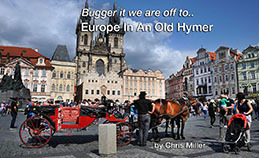 About 10 minutes early, we were asked to move the Hymers onto the train. We drove up over a small bridge and then straight down a ramp and the sideways onto the train. You drive through the carriages until you get as far forward as you can then they chock your wheels. 20 minutes later with what was a very easy smooth ride and we were in France. It only took about 10 minutes and we were cruising up the carriageway to Belgium. Fantastic service and so easy. I enjoy following your blogs both from NZ and now England and Europe. 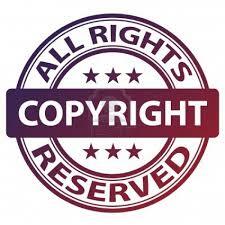 One of the reasons is that you always provide links and coatings which is very helpful. Do you plan on providing a costing on Ralph and perhaps the Chunnel train etc? Safe and happy travels and I look forward to further updates. I wasn’t really but Ralph was around 4000GBP for nearly 5 weeks including bikes and linen from HireaHymer. If I did it again, I’d spend a bit more and get one of the newer ones but Ralph is a lot of fun.. just a bit slow. 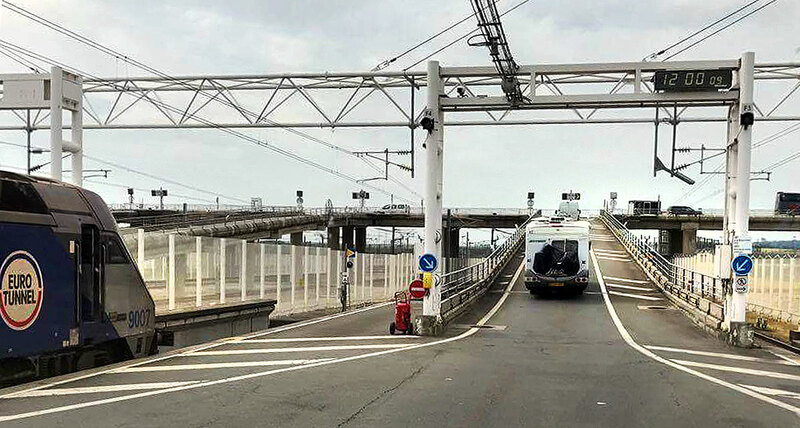 The Chunnel was about 170 Euros each way. Not cheap but it only takes 20 minutes and its so easy. The Brits service everywhere was fantastic with really only that exception. 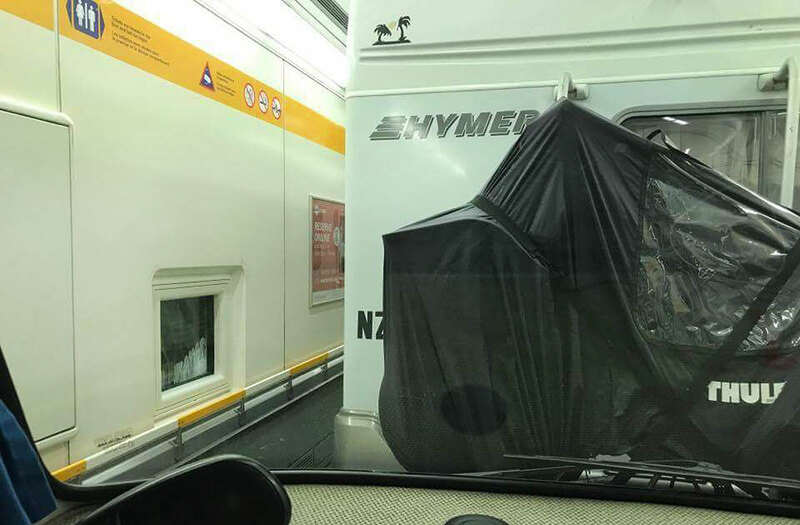 Being close to The Chunnel was really important so it didn’t matter really. It was just interesting to see how petty and silly some people can be. We’re in Amsterdam leaving for Hanover tomorrow. Any details on the phone card please. Going to France & Portugal Sept and Oct.
We bought it at the border in the Duty Free area .. WH Smith but it was 27 pounds including an “eat all you can get” which actually means about 10 gigs. Not sure how they get way with this but I’m now using Wifi where I can get it. I’ve still got a few gigs up my sleeve for banking etc. 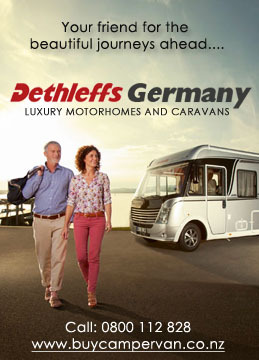 We bought and travelled for several years around UK and Europe in an old Hymer very similar to yours. It was a great vehicle and so reliable. Our German friends told us the name is pronounced “humer” though most Brits pronounce it as it is spelled. As for camping grounds in England, we found them extremely expensive and avoided them as much as possible. We actually spent six months in total freecamping around the UK which everyone told us was impossible. I have been following your Blog for some time and do enjoy reading about your travels. You are now bringing back a lot of wonderful memories. Enjoy your travels. We had Ralph only one day before we escape the UK for that reason. The Brits were very kind and their service was really good and it didn’t really matter to us about Beardsley except I thought it was very petty and silly but apparently that organisation has a bit of a reputation for this.